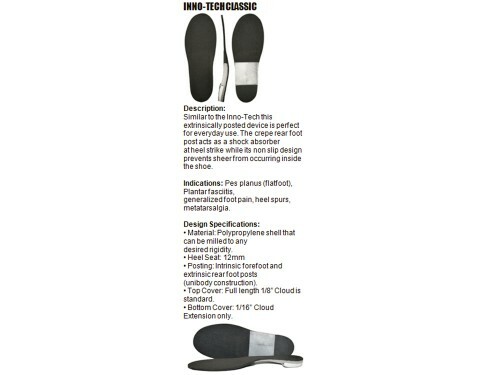 The highly flexible shell combined with a 15mm deep heel cup for greater rearfoot control make this device perfect for arthritis,diabetics,or any other patients with a limited range of motion. 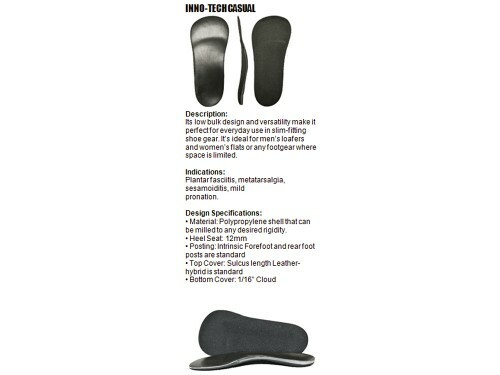 General foot fatigue, arthritis, diabetes, moderate forefoot varus or valgus, plantar fasciitis, forefoot lesions, fat pad atrophy, amputees. 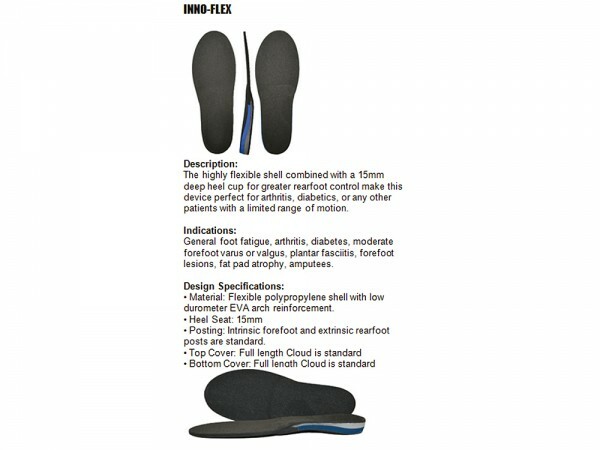 Material: Flexible polypropylene shell with low durometer EVA arch reinforcement. 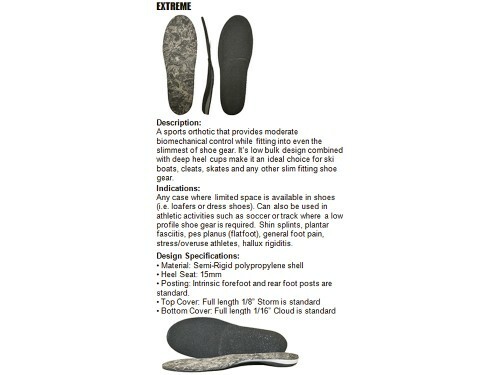 Posting: Intrinsic forefoot and extrinsic rearfoot posts are standard.